There is baseball. There is Iowa. There are corn fields. The parallels to the novel-turned-movie Field of Dreams are remarkable and unmistakable and acknowledged in the very first sentence of the foreword. 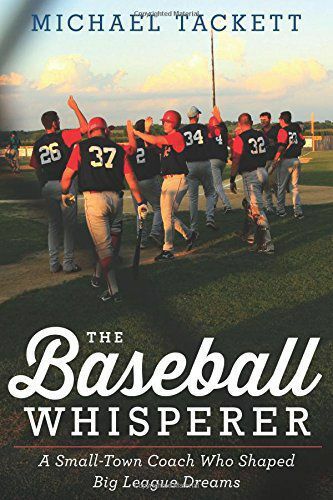 And yet, The Baseball Whisperer: A Small-Town Coach Who Shaped Big League Dreams by Michael Tackett expands on some of the themes in that classic work and explores others. And it is unmistakably a work of non-fiction. Tackett, an editor in the Washington bureau of The New York Times, has written a book built around the singular life of Merl Eberly, who managed the summer college league Clarinda A’s for nearly 40 years. Its core lesson is how one man can have an outsized impact on the lives of others and, if that was all, there would be sufficient value in the project.